Layout – How your content is structured can have a significant effect on how visitors navigate around your site. Layout considerations also include how your navigational menus, links and other guiding features like search boxes are used, where menus are positioned on your site, page columns, etc …. Typically, where visitors suffer most due to a poorly-constructed website is in the realm of the “user experience”. User Engagement Features – Another thing that helps visitors want to stay longer on your website is to provide interactive features that engage your visitors, like features that let users leave comments, share, like, download and recommend your content, interact with your support staff via a responsive help desk, support forum, live chat, schedule appointments, make reservations, etc … You also want visitors to browse quickly around your website and access your data without waiting around for pages to load, so site speed optimization is important. Now … what if you have arrived on our site because you have an existing website with design issues that you feel could be affecting your business? Most themes for WordPress nowadays are fully responsive and provide users with flexible and customizable options for changing your site’s design settings such as the color, elements like menus, headers, footers, layouts and more. Themes are just part of what makes WordPress such a great tool for helping you create a design for your website that works for your business. Need a plugin that will turn your website into an online store or provide you with a complete e-commerce system? Again, no problem! There are several WordPress plugins that will help you sell products online and provide your customers with full e-commerce functionality that allow them to choose and add items to a shopping cart, use coupons, order with credit card or PayPal, receive purchase notifications, receipts and email confirmations, etc. 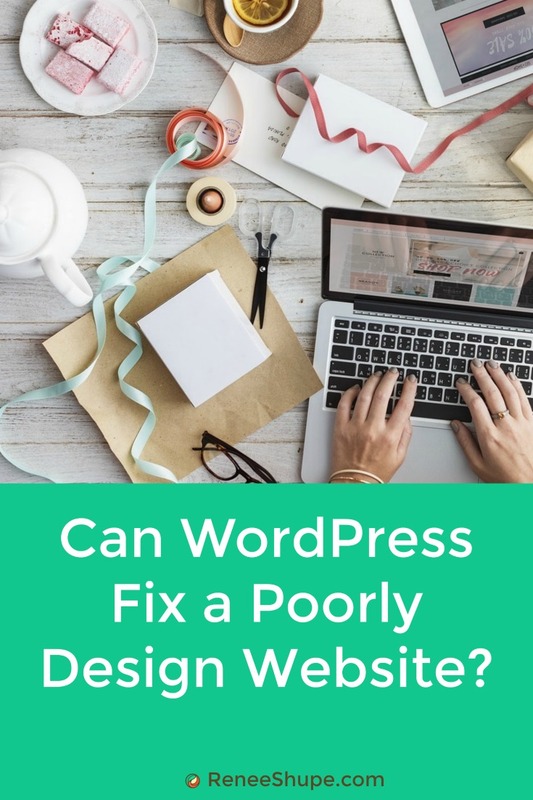 Hopefully this article has given you a better understanding of problems that can affect your web site and how WordPress can help you grow your business business online. To learn more about the benefits of using WordPress for a business web site please see our related posts section.